OMG Posters! 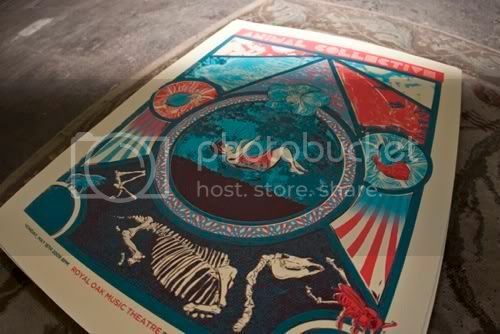 » Archive Animal Collective Poster by The Silent Giants - OMG Posters! Ok, you are going to want to hurry on this one! 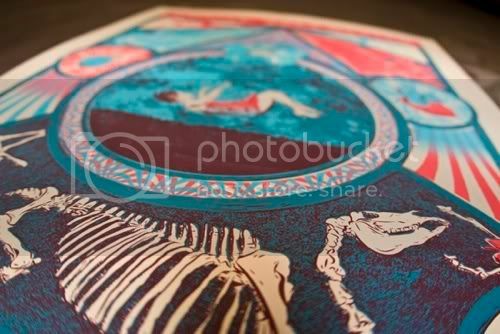 The Silent Giants designed and printed this killer poster for an Animal Collective show in Michigan, and there are VERY FEW available. This is an 18″ x 24″ screenprint, has an edition of 75 (though only 15 will be available online, the rest sold at the show), and is $30. 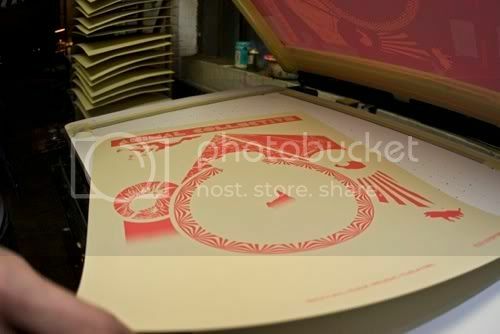 The print is a collaboration with Zac Gorman. Grab one now, or kick yourself later. Visit the Silent Giants Store. If you had received that error chances are it was already sold out. We only had 15 available to sell online. 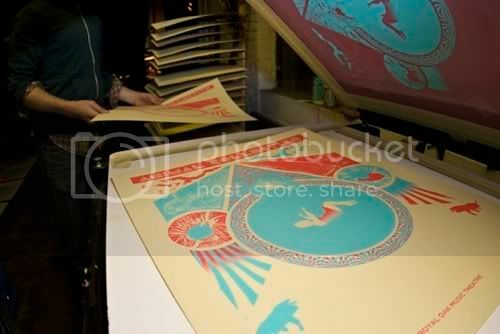 the other portion of the 75 were sold at the show last night. Im sorry if you missed it. There will be more colabs with zac in the future. thanks. are there variants or anything like that? I know I did not get there late, I was the first comment, and apparently commenters, were able to purchase it after that. When I would try to put it in my basket, it would say Animal Collective not available after that. No biggie, would have liked to own this, but you win some, you lose some. Thanks and great work…. This. Print. Is. Sick. I’m away from my computer for a day and I miss two of the most awesome prints to come out in a while? I feel like crying. The reason was because it was a game of hide the cookies. If you added 11 to your cart, then those 11 would stay in your cart for a period of time or until you “released” them”. It’s a well known fact that Silent Giants only sell posters to rich, white, land-owning people who are members of the Free Masons Society. How I got one is beyond me. What Archer said. Today was not my day to get prints. Such is life. Kevin its come to my attention that the Free Masons Society has been shadowing you. Its true that they really have control not only of our sales but our souls!. @ colin / (jazzgalaxy on EB) We printed of a few extra “Artist Proofs” that we will be shipping to zac. What he does with them idk. Maybe shoot him an email work something up. yesh, tis true, tis true, those free masons have a lock on what’s really real. but alas, i’ll be resigned to going to see the collective as a band in real life, and perhaps they’ll have a show poster at their show……….kinda weird but every once in a while ya never know…………………………………………………………….! 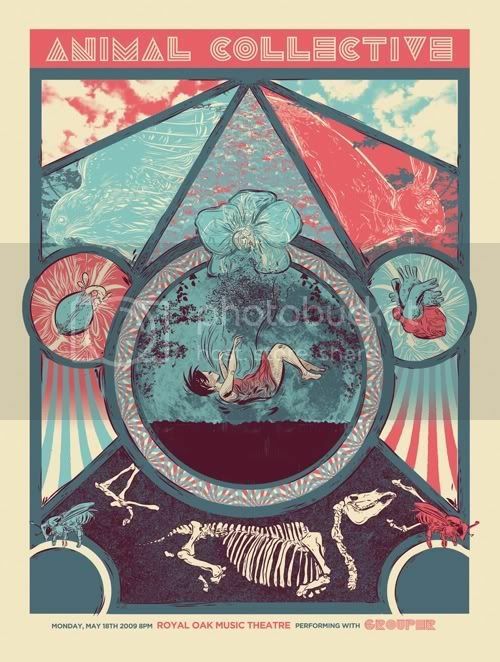 and ps i liked the millward mogwai poster the bestest…….